During February and March 2018, members of our team conducted face-to-face surveys with 200 students at four South African universities. 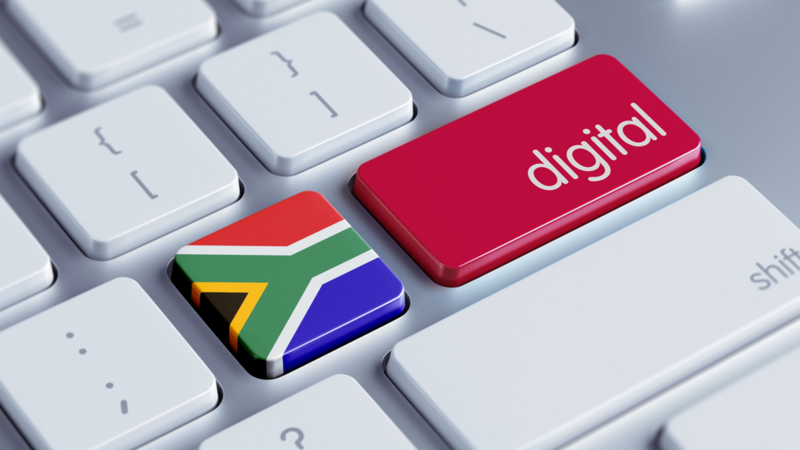 In the context of the Unbundled University research project, this phase of data collection aimed to explore how the emerging unbundled landscape in South Africa is perceived by students through their use of digital devices for learning and their awareness of online education provision. This blogpost presents some of the key findings that have emerged from an initial analysis of the responses. In recent years South Africa’s public universities have been the sites of student protests: these have included calls for fees to be either reduced or dropped altogether; calls for decolonised curricula and more accessible education; they have also expressed dissatisfaction with the sector’s National Student Financial Aid Scheme (NSFAS). Within this contested context, the Department for Higher Education and Training (DHET) has pledged to develop relevant policies and funding mechanisms for universities to draw on the teaching and learning opportunities afforded by digital and online technologies (DHET, 2017). Noting the policy context, we have, in these surveys, focused on the experiences of students. The four universities selected are diverse in terms of academic programmes offered, research focus, historical status from the Apartheid era, geographical context and THE ranking. Two are elite, historically advantaged, research-intensive institutions based in urban areas. One is a comprehensive university based in urban and township areas. The final is a historically disadvantaged institution based in a rural area (a former Apartheid homeland). Fifty students from each university were approached to participate in the study. We spent at least two days on each campus. Using the onlinesurveys.ac.uk platform to input the data as we conducted the surveys allowed us to track the demographics of our sample as it increased. Using this real-time analysis, we ensured that the sample was relatively representative of the population at each university, in alignment with demographic data collected by the DHET (2016). Students’ access to digital devices, course-related digital activities, institutional digital provision and support of digital technologies for learning. Students’ awareness of online courses/ degrees, perceptions of online learning in higher education and perceptions of the relationship between higher education institutions and private providers. Students’ perceptions of the value of unbundled provision, perceptions of how future employers value campus-based and online courses and degrees. Demographic details including gender, age, race, disciplinary field, year, level of study and how the participants’ studies are funded. Initial findings reveal a clear divide between the digital experiences of students at the two elite universities and at the rural university. The experiences of students at the comprehensive university were not constant with the two elite or rural universities but differ depending on the question and sometimes on the participant’s campus . The survey results show similar access to the internet and digital devices but very different experiences in the usage of devices and online resources for learning. Access to digital devices does not necessarily translate into equal advantages for its users (Warschauer, 2004; Hargattai, 2008). Students from different universities have also had different digital experiences before entering the higher education system. Students from the rural university were far less likely to feel prepared to use digital devices at the beginning of their studies. However, having spent time in a higher education institution, almost all participants responded that they felt more confident using digital technologies for learning than when they started university. It is evident that all four universities are providing access to devices, the internet and training to develop students’ basic digital skills. However, this does not necessarily correlate with frequent usage of digital technologies for learning or awareness of online learning resources. The rise in online education during the last decade is often linked to the promise of widening access and democratising education. A number of South African universities are partnering with local and global private companies to provide short courses, free courses or full programmes online. A number of questions aimed to capture the phenomenon of unbundling as it is happening in the higher education sector and whether students have considered its risks, benefits and implications for employment. Again, differences in perspectives were most prominent between students from the two elite universities and the rural university. Participants from the elite universities were more likely to consider it a risk when short online courses chosen by a student are used to replace a full degree program put together by faculty members. More students from the rural university felt that a potential risk in taking an online course is being taught by staff with insufficient academic training, and students from the rural and merged universities mentioned scams, Ponzi schemes, credibility and accreditation issues as risks of taking an online course. Drawing on a previous blogpost by Professor Neil Morris, in which he explored a number of patterns emerging from interviews with 26 higher education leaders, interviewees express a view of a digital divide amongst students within universities; between those who have digital devices, the means to access the internet, and the capabilities to use devices effectively for learning, and those who do not. In considering the perceived value of online learning, interviewees expressed concerns around faculty’s engagement in new teaching initiatives involving digital technology. The implications of training and investment around these digital and online change-initiatives at faculty-level, manifest through the digital literacies of graduates, and potentially contribute to digital inequalities in the workplace. The initial analysis of the student survey data confirm the notion of a ‘digital divide’ between students within institutions and even more so between students from different institutions. This suggests that the type and historical status of institutions is dominant in shaping students’ experience of digital technology, how much digital technology is used for learning, and their awareness and engagement in online learning. Our analysis of data within the Unbundled University project has begun to tease out perceptions around the purpose of the university, the provisions of learning and how technology supports these activities. The digital literacies of graduates empower or hinder their flexibility as lifelong learners in the workplace and in society and have the potential to further increase existing social inequalities. This goes beyond the recognition of a ‘digital divide’. It involves the study of digital inequalities reinforcing, and even exacerbating, existing social inequalities as pre-existing differences in human capital are transferred into online settings (DiMaggio & Garip, 2012). As we continue our analysis of data collected in the Unbundled University research project, we aim to present a comparative and integrated analysis of interviews with senior managers in higher education institutions, academic staff members and students in light of the anticipated value of online learning, debates around digital inequality and the phenomenon of unbundling in the HE sector. DHET. (2016). Statistics on Post-School Education and Training in South Africa. Pretoria: DHET. DHET. (2017). Department of Higher Education and Training’s Position on Online Programme and Course Offerings. Pretoria: DHET. DiMaggio, P., & Garip, F. (2012). Network effects and social inequality. Annual Review of Sociology, 38, 93-118. Hargittai, E. (2008). ‘The digital reproduction of inequality’, in Social Stratification, ed. D. Grusky, Westview Press, Boulder, pp. 936–944. Warschauer, M. (2004). Technology and Social Inclusion: Re-thinking the Digital Divide, MIT Press, Cambridge, MA. On the 23rd of April 2018 the Leeds team of our project held an event as part of the Leeds Digital Festival. 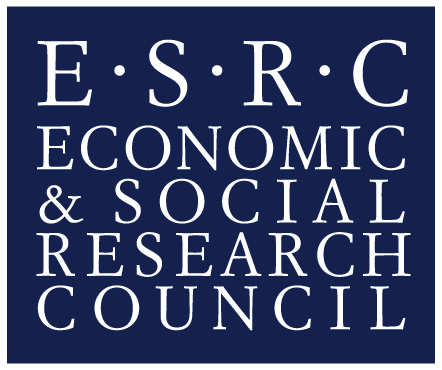 The event commenced with a short presentation from the project team about our ESRC/NRF-sponsored research project The Unbundled University with an emphasis on how our findings shed light on changes in UK Higher Education and the role of digital technology in this process. The presentation described the proliferation of ‘non-traditional’ courses and qualifications that UK universities now develop, using digital technology to offer online and blended learning provision. The purpose of the presentation was to inform the panel and the audience about some of the findings of the project in order to provide some background to the discussion. The presentation was followed by a panel, which included representatives from a number of private and public sector employers, and representatives of the university community engaged in the discussion of student employability: Amanda Hardcastle, Head of Human Resources, Cap-Hpi, Prof. Sarah Underwood, Leeds University Business School; Sam Raife, Senior Digital Marketing Manager at Bewonder*, Tim Riches, a Co-Founder Digitalme and Zaki Kaf Al-Ghazal, Education Officer at Leeds University Union. The event was also attended by an audience not only from the academic community but also from the broader public, who enjoyed a vibrant discussion with the presenters, chair and panelists. Are you satisfied with the current HE system in terms of the knowledge, skills and behaviours that graduates exhibit? Do you encourage young people looking for employment / your employees to do online training? What value do you see in online training? Do you encourage your employees to use online courses for CPD purposes? Imagine the following scenario: two people are shortlisted for a job at your company or organisation, one coming from traditional campus-based education, the other has CV full of online educational qualifications only. Who would you employ? What concerns do you have about the idea of unbundled online education qualifications? What are the benefits of unbundled online education from your perspective? Beyond these questions, members of the audience also inquired about the ways in which unbundled provision could challenge the possibly outdated ways in which universities teach in spaces and delivery modes which contemporary students might not be comfortable with, and the more efficient and productive ways in which universities could make connections with employers. Drawing on their experiences and perspectives within their own professional positions, the members of the panel articulated a number of challenges for employers to engage with university graduates. Tim Riches, Sam Raife and Amanda Hardcastle spoke of new ways in which student capacities are evaluated by employers: ‘human’ or soft skills and curiosity were outlined as the two important assets that could make students more attractive to companies, rather than more technical skills. According to Raife, there are certain software applications which are seen as quite desirable for potential employees to master: students who are trained in them stand a higher chance to get a job. Still, on the question of CVs all panelists seemed to agree that what Zaki Kaf Al-Ghazal called ‘the living CV’ was crucial as it indicated experience within the university (volunteering at the university, participating in different societies and activities) and made you more suited to the needs of the job market. This type of experience, according to Amanda Hardcastle trains students in skills such as resilience, that could be useful in building one’s own career which, according to her, is not the responsibility of line managers but of employees. For Sarah Underwood, universities today face the challenge of making their students aware that such skills, that amount to entrepreneurial behaviours, should be seen as a central component of their training. In this regard, as well, employers among the panelists saw CVs as increasingly redundant beyond the shortlist stage, and suggested that behaviours mattered more. Tests for practical application of knowledge during interviews or referrals were what they said might soon replace CVs. Another question which panelists addressed was that of digital skills training of university graduates and potential employees. Some of the members of the panel discussed the generational difference: students today have a shorter attention span and encouraging the introduction of digital technologies in teaching and learning could address this new challenge for educators and make learning more productive for students. From the emoloyability point of view, all panelists acknowledged that a lot of the communication and training at the contemporary workplace (be it larger private companies such as Cap-Hpi, small size companies, or the Leeds Student Union) happened online and required good online communication skills. Sarah Underwood emphasised that this was one of the lessons which she and her colleagues were trying to impress upon students. Zaki Kaf Al-Ghazal confirmed that this was crucial from the student point of view, but also noted that online learning allows a larger pool of previously atypical student groups (people with caring responsibilities, with disabilities, and those based overseas) to access university lectures and get certification, and training for them was as equally important as for students doing fully-residential degrees. These two panel membersalso engaged with the question of the relatively conservative nature and slow pace of the operation of universities when it came to learning spaces and modes of delivery that suit the new generation. Professor Underwood explained that academics saw their disciplines and love for knowledge production and dissemination as priority, and considered students’ needs as secondary to these concerns. The members of the panel also discussed the difference they saw between students with traditional degrees and those with mix-and-match CVs that list unbundled courses from different universities and companies. While the overall agreement was that the panelists themselves did not see unbundled courses as inferior to a full campus-based degree, the opinion of different panel members varied. Amanda Hardcastle and Tim Riches declared themselves in favour of the mix-and-match method and said they would not think that employers would see it as detrimental when hiring potential employees. Sam Raife insisted that ‘being a good fit’ for the company was the key asset that potential employees should demonstrate and their credentials would be secondary to that. Still, he said that while that was his take on the subject, the presentation of the Unbundled University project had showed that perhaps the broader public still saw residential degrees from prestigious universities as more telling for a candidate’s qualities and he was not sure when and under what circumstances this tendency could shift. Sarah Underwood spoke from the viewpoint of academics that a full degree designed by universities would still be seen as the only guarantee that universities can give in terms of quality assurance of training professionals. She reminded the audience of what the employers in the panel had said: while additional courses could show curiosity and engagement, the base-line credential for shortlisting candidates would still be the traditional degree that showed the graduate came from a certain calibre of university. Panel members also briefly addressed the question of public-private partnerships. All panelists said universities should more actively seek connections with employers: be it through different programs such as RSA’s Cities of Learning, suggested by Tim Riches or through providing a clearer pathway for employers to enter and engage with student communities, pointed out by Sarah Underwood. Amanda Hardcastle also insisted that for private companies, partnering was crucial to serve their needs as they could not possibly hire experts in all fields. Referring to the Good work: the Taylor review of modern working practices Riches also emphasised the potential role of universities in defining and standardising the softs skills which the review pointed to as crucial for employment in the future. Representing the student point of view Zaki Kaf Al-Ghazal said that it was important that employers and students were involved in co-designing the curriculum and that such an approach could guarantee the readiness of students for the world of work and the world outside the university gate. At the same time, he also underlined that universities should be seen as public good and they should not go private but should endeavour to secure access to a large variety of learners from diverse backgrounds and at different levels. Sarah Underwood concluded the discussion by saying that often students do not see the long-term consequences of choices that they are making and perhaps the university should offer more support in order to outline career options and provide better support for students on their entry into the world of work.